CF-VQI at Downsview - CYZD, Ontario. CF-VQI in service with Fecteau in Québec. 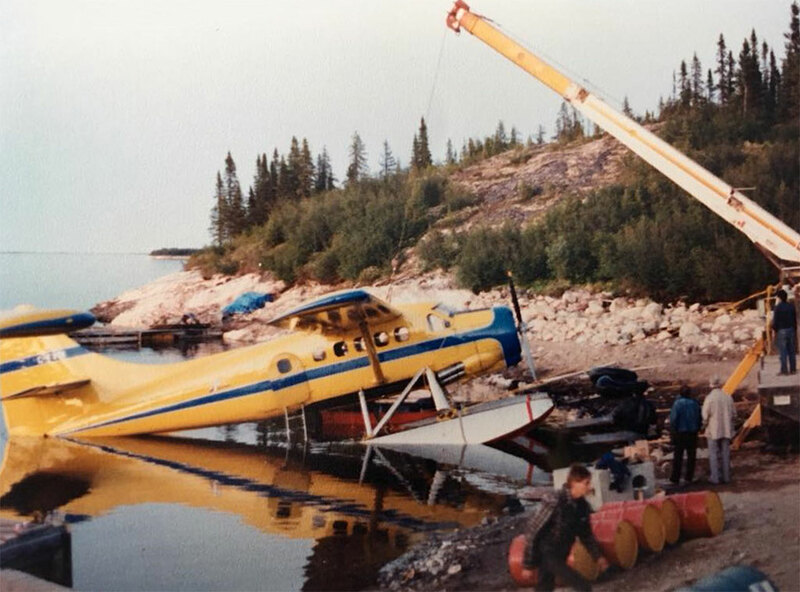 C-FVQI being hauled out after sinking at Digue 9. N5010Y with Soloy Dual Pac. N342KA when serving with Pro Mech. • CF-VQI A. Fecteau Transport Aérien Ltée, Senneterre, QC. Delivered 09-Jun-1967. • C-FVQI Propair Inc., Sept-Îles, QC. Regd 02-May-1982 after merger with Fecteau. Canx 22-Feb-1989. Incident: 28-Jun-1988. Details unknown apart from the fact that it had been and had been partially submerged in an incident * and repaired by Propair at their facility at Rouyn, QC., in Jul-1988. * Aircraft left loaded at the dock when a storm came through, aircraft "settled" . . . Location "Digue 9". • N19TH Temsco Helicopters Inc. Regd Apr-1989. Closed down 01-Nov-1991. • N5010Y Soloy Dual Pac Inc., a part of the Soloy Corporation of Olympia, WA. Jul-1994. • N32910 Re-regd to Soloy Dual Pac Inc, Olympia, WA. Jul-1995. • N342KA Ketchum Air Service Inc., Anchorage, AK., Regd Mar-1997. Power plant: Converted to a Vazar turbine aircraft by Ketchum Air Service Inc.
• N342KA Ketchum Aircraft Leasing Otter 42KA LLC. Regd Mar-1997. Operated by Ketchum Air Service Inc., until end of Summer 2002. • N342KA Ketchum Air Service Inc., Anchorage, AK. Circa Oct 2002. • N342KA Leased to Pro Mech Air., Ketchikan, AK in summer 2003. Also in 2004. • N342KA Returned to Ketchum Air Service Inc., Anchorage, AK. • N342KA Purchased by Pro Mech Air, Ketchikan, AK. Regd late 2005. • N342KA PM Holdings LLC., Ketchikan, AK. Regd 24-Oct-2006. Canx 22-Sep-2009 on export to Canada. • C-GNNP. Liard, Air Ltd., Muncho Lake, BC. Regd 19-Oct-2009. Canx and deleted 29-Mar-2011. 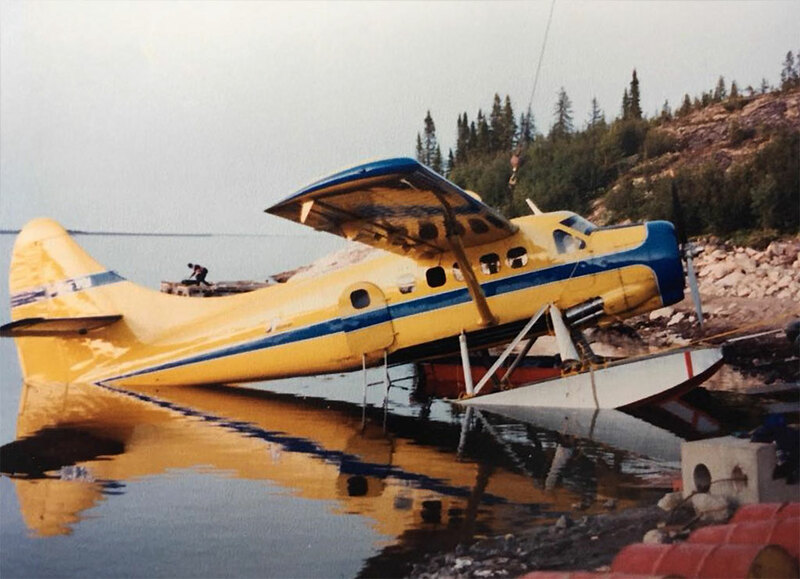 Incident: Muncho Lake / Mile 462 Seaplane Base, Canada. 17-Jan-2011. Aircraft destroyed in hanger fire. A generator in the hangar caught fire. Without power the operator was not able to open the hangar door. Otter 465 was sold to A. Fecteau Transport Aérien Ltée of Senneterre, Quéebec on 9th June 1967, registered CF-VQI. The company was subsequently re-named Air Fecteau Ltée and the Otter re- registered C-FVQI. 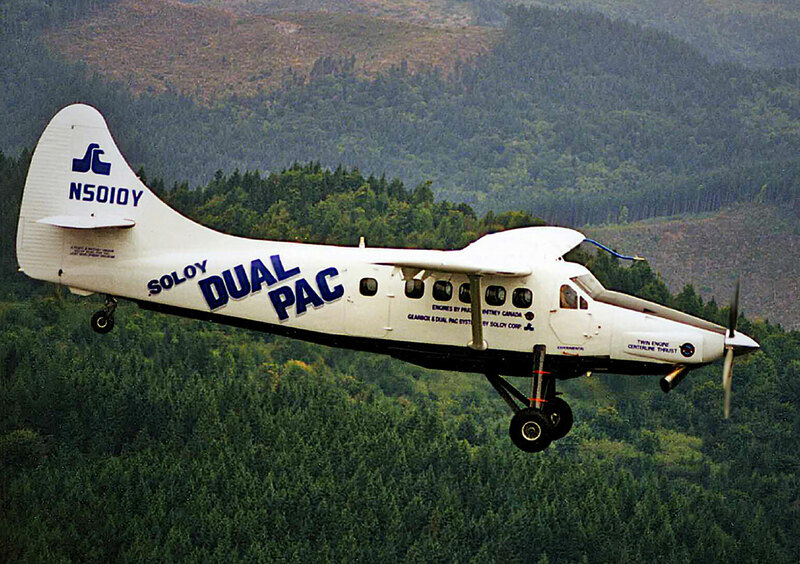 Air Fecteau served the bush country of Québec, and merged into Propair Inc., to whom the Otter was registered in May 1982. After more than twenty years service in Québec, the Otter was sold in April 1989 to Temsco Helicopters Inc., registered N19TH. It flew as part of Temsco's large fleet of Otters out of its base at Ketchikan, Alaska until October 1991, when Temsco announced abruptly that its final services would take place on 1st November 1991, and that the airline's fixed wing division would close down on that date. 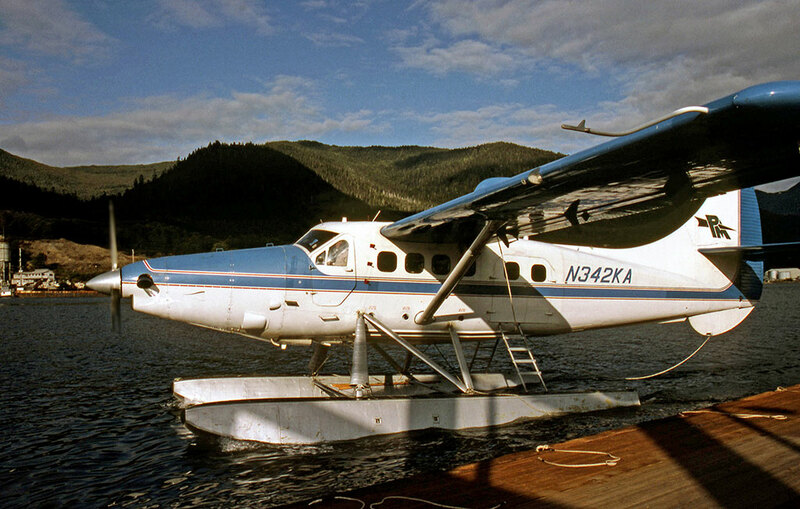 Having remained idle at Ketchikan for some time, in July 1994 the Otter was purchased by Soloy Dual Pac Inc., a part of the Soloy Corporation of Olympia, Washington and the following month it was registered N5010Y to Soloy Dual Pac Inc. 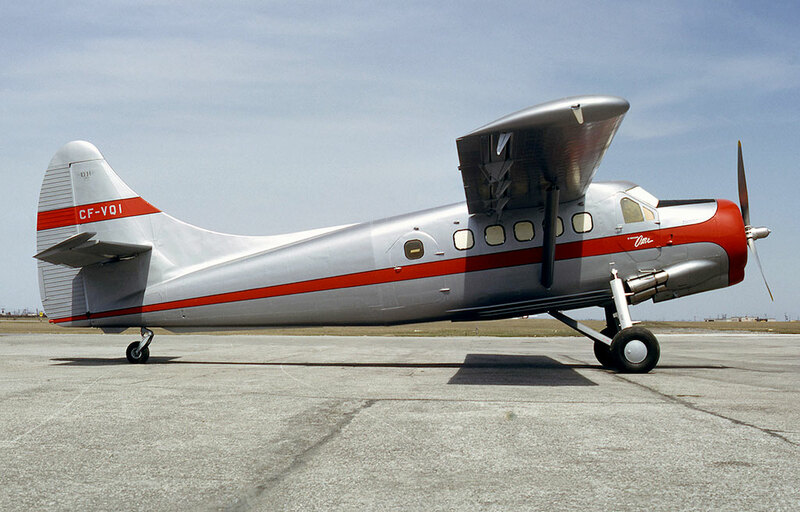 The Otter was acquired by the Soloy Corporation for use as a flying testbed for the certification of their Dual Pac powerplant, which they were developing in co-operation with Pratt & Whitney Canada. The Otter was flown from Ketchikan to the Olympia Airport, Washington. It was not in the best of shape. 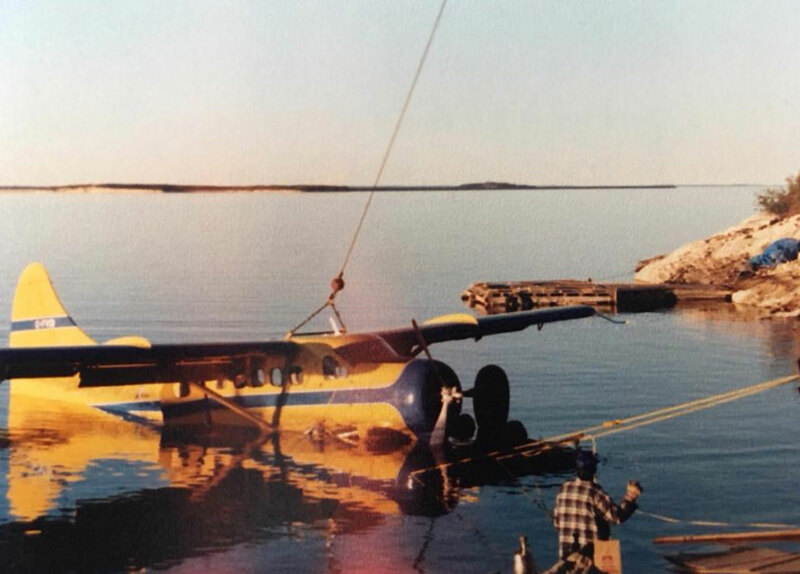 The paperwork revealed that it had been partially submerged in an incident while flying for Propair and had been repaired by Propair at their facility at Rouyn, Québec in July 1988, total time on the airframe at that stage being 14,230 hours. 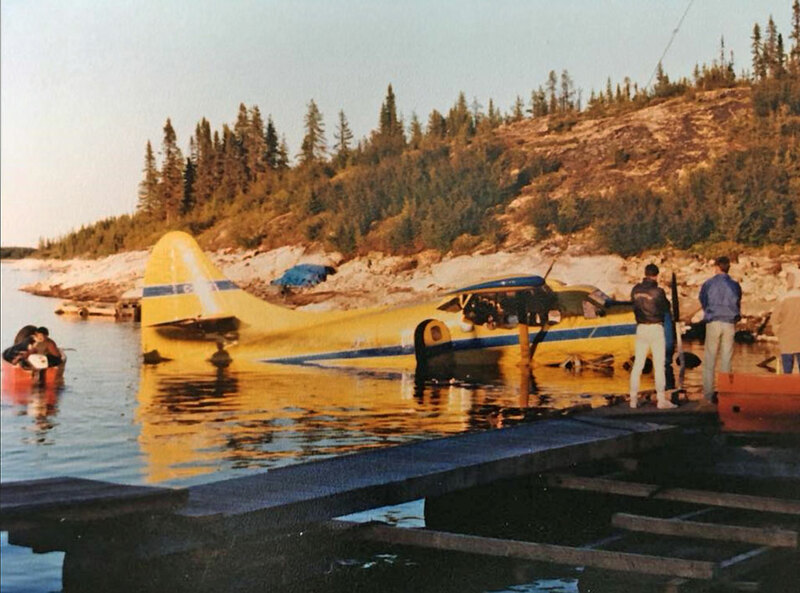 Between July and September 1994, the Otter was completely stripped down and refurbished by Soloy at Olympia and the twin pack installed, comprising two Pratt & Whitney Canada PT-6A-114 turbines. It emerged from the hangar in pristine condition, in a gleaming all-white scheme featuring a large 'Soloy Dual Pac' logo. It made its first flight in this configuration from Olympia on 29th September 1994. It continued its test work into 1995, flying for several hundred hours to build up 'in service' time for the powerplant and related systems. 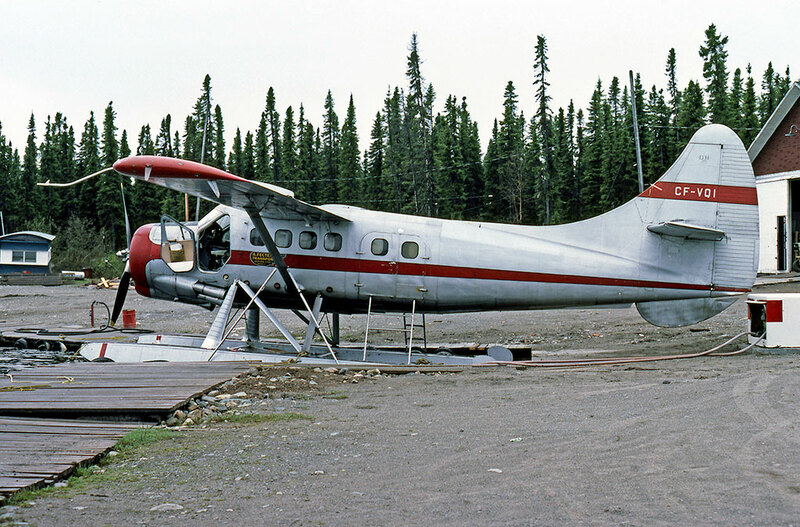 In July 1995 it was re-registered N32910 and in November of that year, its test work with Soloy complete, it was sold to Ketchum Air Service Inc., of Anchorage who converted it to a Vazar turbo Otter, registered N342KA. It entered service with Ketchum Air Service, based at Lake Hood, flying tourists, fishermen and hunters into the Alaskan wilderness during the summer months. In March 1997 the Otter was registered to Ketchum Aircraft Leasing Otter 42KA LLC., but continued flying for Ketchum Air Service until the end of the summer 2002 season, when the operation was closed down, and Ketchum became purely a leasing company. In early October 2002, the Otter was flown south to Ketchikan where it was parked at the Pro Mech Air hangar over the winter. In summer 2003, N342KA joined the Pro Mech Air Otter fleet, on lease from Ketchum. The Otter flew again for Pro Mech Air during 2004 on lease. In April 2005 the Otter was advertised for sale by Ketchum Air. It had 21,451 hours on the airframe and an asking price of $775,000. It was sold later that year to Pro Mech Air. It was extensively overhauled by Pro Mech Air at their Peninsula Point, Ketchikan maintenance base in readiness for operation as part of their Otter fleet for summer 2006. Vazar. On 24 October 2006 the Otter was registered to P. M. Holdings LLC., of Ketchikan, the holding company of Pro Mech Air. During winter 2006 / 2007 the Otter flew south to International Aero Products, Courtenay, BC., on Vancouver Island where it was overhauled and painted in Pro Mech Air’s new colour scheme. It returned to Ketchikan on 31st May 2007 to rejoin Pro Mech Air’s six strong Otter fleet for the summer 2007 season. The Otter was again advertised for sale in January 2009 with total airframe time of 23,728 hours and with an asking price of US$995,000. It did not sell at that stage and flew again for Pro Mech Air for summer 2009. A sale was then achieved and the Otter arrived in Vancouver on 22 September 2009 where it was overhauled for its new owners by Aeroflite Industries in their hangar at the Vancouver International Airport. It had flown down from Ketchikan with registration C-GNNP under a ferry permit, NNP standing for Nahanni National Park, and was officially registered as such on 19 October 2009 to Liard Air Ltd., of Muncho Lake in northern British Columbia. Liard Air had been formed in 1981 by Urs Schildknecht, who had arrived in British Columbia from his native Switzerland. First equipment was a Beaver, based at Muncho Lake. He also established Northern Rockies Lodge at the lake, a full service hotel with outpost fishing and wildlife viewing cabins, only accessible by floatplane. During the overhaul at Vancouver by Aeroflite over the winter of 2009 / 2010, Otter C-GNNP was repainted into a most striking colour scheme of yellow under-fuselage and blue upper fuselage, separated by a red cheatline. It carried the name ‘Urs’ on the pilot’s door, as well as small Liard Air titles and ‘Northern Rockies Lodge’. In May 2010 the Otter flew north to its new base at Muncho Lake and entered service with Liard Air, flying alongside the Beaver. The aircraft were used on tourism-related flying to the Nahanni National Park and Virginia Falls. They flew into the Muskwa and Ketchika wilderness areas, to the fishing and cabins. They were also used on sight-seeing flights. This activity continued until disaster struck on 18 January 2011, when Liard Air’s hangar at Muncho Lake was burned down in a fire. A generator in the hangar had gone on fire and without power the hangar doors could not be opened. In the hangar at the time were Otter C-GNNP, Beaver C-GUDK and Cessna 185 C-GUGE, all of which were destroyed in this terrible tragedy. The registration of the Otter was cancelled on 29 March 2011. Liard Air soon replaced the Otter, acquiring C-FZDV (349) from Air Tindi, which was registered to Liard Air on 13 April 2011 and Otter operations continued as before.